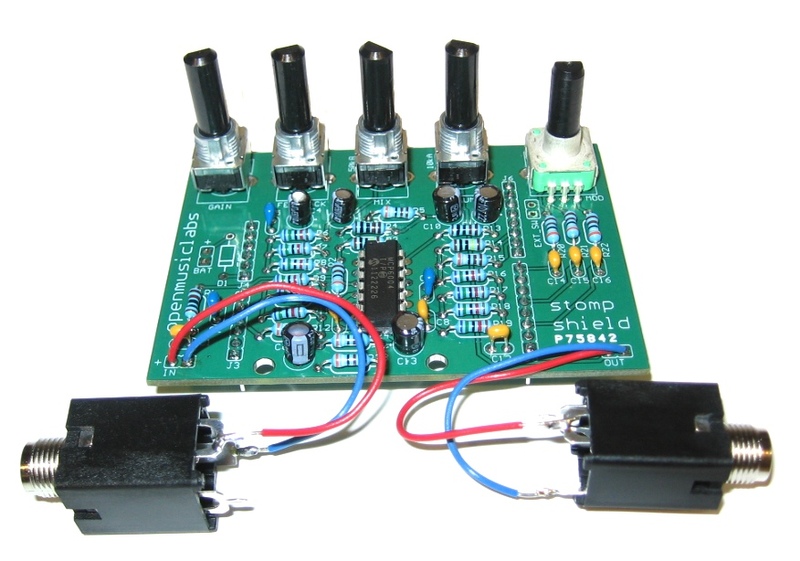 The Stomp Shield is a bare-bones kit which gives your Arduino the power to process audio. It has a guitar preamp with gain knob, along with feedback, mix, and volume knobs to control your sound. And, it all fits inside of a Hammond 1590BB case, so you can take it on the road (case not included in kit). We also have a full Arduino library, with a bunch of examples to get you started. We really need to get a new camera. So if you want to hear what it really sounds like, we have an mp3 sound sample, which was recorded directly from the output of the Stomp Shield. The first few bits are just passing the audio through the Arduino, to give an idea of bit depth and frequency response, and the last bit is a flanger effect. 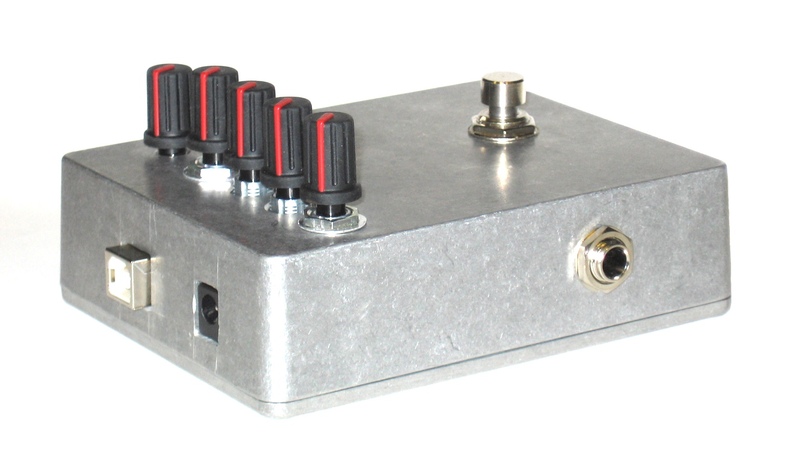 The Stomp Shield is the most minimal setup we felt would do the job of a decent effects pedal. It uses the onboard ADC to sample the audio at 32ksps, and plays out your creations via 16b dual PWM. We have a very detailed assembly page for the Stomp Shield, and full documentation, including the Arduino library, up on the Stomp Shield Wiki. So check it out, and if its right for you, swing by the store and pick one up!